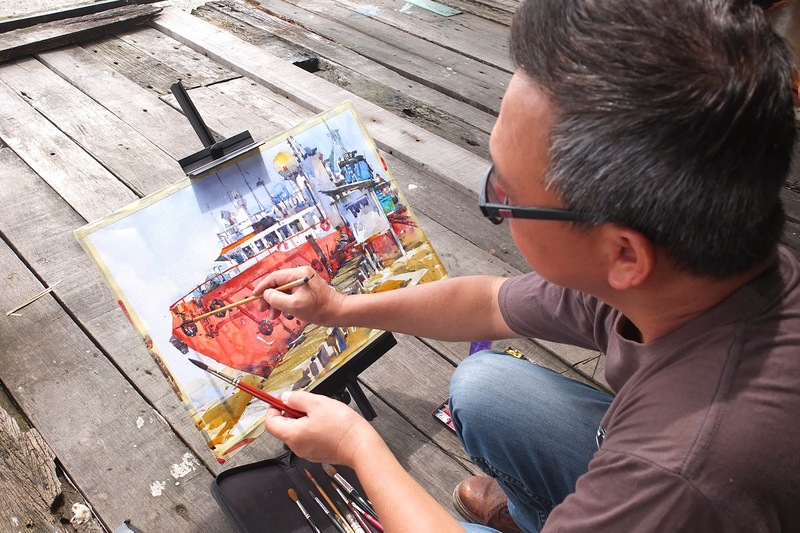 Born in 1961 in the harbour town of Klang, Selangor, Chow Chin Chuan received his art education at the Kuala Lumpur College of Arts and holds a Diploma in Fine Arts & Figure Design. 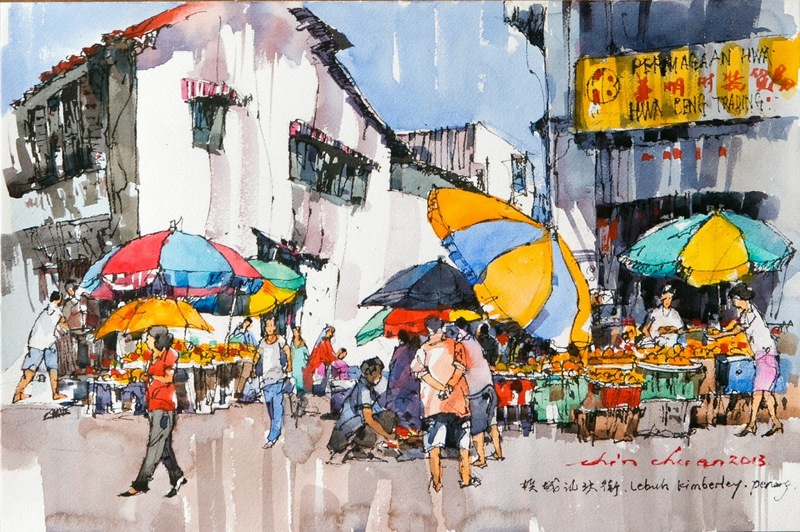 This full-time artist has been exhibition his works since 1982 and has won numerous awards, including the Young Contemporary Artist award from the National Art Gallery in 1990. He has also exhibited in foreign countries, including Thailand, Taiwan, Belgium, Sweden, India and Brazil. 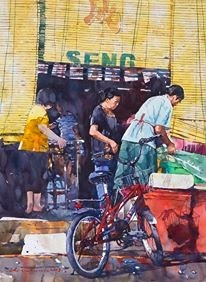 Chow has established himself with his favourite subject - the bicycle against a backdrop of rustic scenes that are fast disappearing these days, Apart from watercolour, he also does oil paintings who are also as exquisite. .